Hiring an Infusionsoft Consultant: Should You Do It? Since you’re here, I’m guessing you use Infusionsoft to help automate stuff, grow your sales and save you time. And if you’ve been using Infusionsoft for more than a day, you’ll know that it’s not as easy or fun as it sounds. So should you go at it alone or hire some help? The purpose of this article is to help you decide if it’s right to hire an Infusionsoft consultant for your business. The reason Infusionsoft isn’t as easy or fun as it’s made out to be is because there aren’t any rules or requirements for using it. When you buy it, you can set things up in anyway you’d like, whether you’re doing it correctly or not. Take the campaign builder for example. Everytime you open it up, you’re greeted with a blank canvas. You can literally build anything you want, even if what you build doesn’t make sense. This makes learning Infusionsoft and capturing its potential a little difficult. But this is also why it can be so powerful; the ability to create just about any automated campaign can be incredible! So what’s the best way to harness the Infusionsoft power and tame the beast? To get the most out of the software you’ll need to either learn it yourself or hire others who are competent in its capabilities. No matter what you’ve been told about automation, Infusionsoft is a package deal. It’s helpful to think about Infusionsoft like you would a musical instrument; It has the potential for something beautiful, but that potential is only realized when you pair it with someone who knows what they’re doing. What I mean is that you need both the software and someone to manage it in order to get the most from it. That person can be the a.) the business owner, b.) an employee or c.) a contractor/consultant. While learning Infusionsoft is attainable for anyone, there is definitely a learning curve. It’s not just a new software you’re implementing, it’s a new way of marketing and thinking about our business. As the business owner, you need to decide how involved you’d like to be in the day-to-day use of Infusionsoft. Note: Even if you never want to login to Infusionsoft, you should have a solid understanding of the basics so you know what’s involved and can successfully delegate the work. Why Hire an Infusionsoft Consultant? If that’s the case, I encourage you to do it! I think most Infusionsoft users can and should go at it alone (at least for a little while). I think there’s incredible value keeping certain Infusionsoft activities ‘in-house’. But the reality is Infusionsoft touches so many aspects of the business; like your website and advertising, your sales team, your membership site and anywhere else you communicate with customers. Because Infusionsoft touches all these other areas of the business, you might find that hiring an expert in one of these other areas will be beneficial based on the needs of your business. Usually Infusionsoft consultants are more than just software experts. In the Infusionsoft eco-system, you’ll find experts who specialize in Facebook ads, sales, process automation, membership websites and a bunch of other really useful skill sets your business might need. Plus, in many cases you might find someone who specializes in your specific industry or niche. Interested in working with a professional Infusionsoft Consultant? There are generally 3 options for hiring an Infusionsoft consultant. When it comes to hiring an Infusionsoft consultant, you’ll need to decide which option is best for you and your business. The further you work your way down this list, the more expensive it will be (at least initially). This is a good option if you want to take control of the marketing automation in your business and feel like you won’t need an Infusionsoft consultant to fully leverage the power of Infusionsoft. This is also a great option for businesses who have a dedicated CRM and/or marketing manager who can fill this important role. Usually this person becomes the go-to resource for launching new campaigns and making sure the prospect and customer data is kept clean. If you are the do-it-yourself type, I recommend at the very least investing in training that will help you understand what Infusionsoft can do for your business. My recommendation for anyone who wants additional Infusionsoft training is Monkeypod Marketing. They offer online courses specific to Infusionsoft and Greg, the founder, runs an amazing and very active Facebook community called the Monkeypod Grove. These options are great for anyone new or old to the software. Other options for do-it-yourselfers include Infusionsoft University, and SuccessLab by Box Out Marketing. Both provide good content for understanding the basics of everything the software can do for your business. This option is generally best for businesses who want to handle most of the ins and outs of Infusionsoft themselves, but need a little extra help. This is my personal favorite option because it gives you the most leverage as the business owner. The extra help generally comes in one of two ways for a typical business owner trying to do more with Infusionsoft. .
You can find an Infusionsoft consultant to help with the bigger picture and strategic application of the software while you still manage the daily activities. When I say daily activities I mean updating contacts, applying tags, sending broadcasts, and other administrative or customer service tasks. Side note, this our sweet spot and we’d love to help you on the bigger picture and strategic direction for your marketing automation tools. You can find an Infusionsoft consultant (or more likely a contractor in this case), to help with the administrative tasks while you focus on the bigger picture and strategic application of the software. The option you choose really depends on your level of comfort and competence with marketing automation. The last option is the 100% done-for-you solution, which means you give full control over to someone who runs just about everything related to Infusionsoft for your business. This is a great option for someone who doesn’t want to deal with anything related to Infusionsoft. However, I don’t usually recommend this option. Because Infusionsoft is so involved in the process of creating and maintaining customers, there needs to be someone in the business who is ultimately responsible for the activities of Infusionsoft. The best place to find an Infusionsoft consultant is through a good referral, but another great place to start is the Infusionsoft marketplace. You can search for one based on the solutions you need to grow your business. Filter your search based on listing type, application type, content type, service type, industry, lifecycle marketing, region served, price and certification. But finding the right Infusionsoft consultant can be a lot harder than it seems. Where possible, you should verify that they’re Infusionsoft Certified Partners. This means they’ve gone through the process of learning Infusionsoft and that they’ve taken the exam to prove their knowledge. Note, they’ll likely have an Infusionsoft Certified Partner badge somewhere on their website. A good tip is to subscribe to their email marketing campaigns and fill out their forms. How effective are their campaigns and follow-ups? Are they great at marketing and selling their service? Who are their former clients, and what did they have to say? You can also assess their expertise based on their ebooks, white papers or blog posts. The quality of their educational resources and marketing materials can help you determine if they’re the right people for the job. Finally, try to find Infusionsoft consultants that specialize in your niche. These consultants should have a wealth of experience in your industry and the right training, so they’ll be able to create strategies which are a great fit for your business. Here’s a rundown of some of the most common types of services an Infusionsoft consultant might offer. Making a plan of action isn’t easy so an Infusionsoft consultant can train you to create organized and effective strategies via virtual online trainings. These meetings are scheduled in advance and are pretty flexible. The’ll usually use tools like GoToMeeting or Zoom. You’ll also leave with concrete action steps and a content strategy that can make an impact on your consumer’s decision making process. Sometimes you need an expert’s take on your strategies and implementations, and your consultants won’t always see the full-picture if they’re not sitting in the same room. Some Infusionsoft consultants offer on-site consulting and implementation and will have packages available for the consultant to come to the client or the vice versa. More often than not, you just want results! If that’s the case, many consultants offer pre-built or custom campaigns that will help you quickly see results with Infusionsoft. This is great if you don’t want to spend a lot of time marketing, and focus on improving your products or services instead. With an Infusionsoft consultant onboard, you can snag more customers, with the least amount of time and effort. Other Infusionsoft consulting packages offer a combination of training + done-with-you implementation. These packages are my favorite because they’re centered around a specific result and offer you the training you need to continue on your own. What does it actually cost to hire an Infusionsoft consultant? I wish I could give you a straightforward answer here. Unfortunately, this really depends on the scope of the project, but I’ve outlined what you can expect to pay (USD) for various tasks related to Infusionsoft. These are tasks related to copying data from one system to another. For example, as a lawyer, you might have case management system that doesn’t integrate natively with Infusionsoft. In this example, you might hire someone to manually transfer that data between the two systems. These are tasks related to cleaning up data, running reports, sending emails and applying tags. Sure, you can find some for less than $15/hour, but I would be very cautious about it. Ideally, you would keep these sorts of activities in-house with an employee who is involved with your marketing and sales teams. These are tasks that are related to marketing and growing the business. This is where some strategic thinking begins and would include crafting effective email broadcasts and basic automation campaigns. This is where you begin to take things to the next level. This would include strategic planning and implementation of various stages in your buyer journey. Infusionsoft consultants in this level should be capable of thinking about both the high-level implications for your business as well as the details for how to execute successfully. In many cases, you’ll find consultants who charge per project rather than per hour. These are good options as well because it will help you keep your costs fixed. Just be aware that they’ll likely bill extra for any changes to the scope of the project. Hiring a consultant can be a tricky and scary experience. If you’ve made it this far and think hiring a consultant is right for your business, I recommend starting with a small project to make sure they are competent and know what they’re doing. 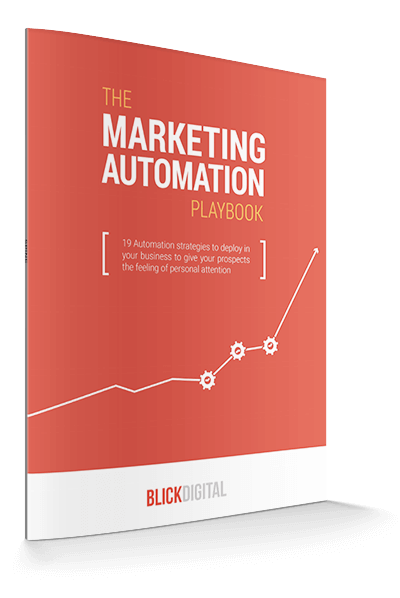 At Blick Digital, we start most engagements with a Marketing Automation Roadmapping session. This is a great way for clients to get to know us a little before investing in long-term project. You can recommend something similar to any Infusionsoft consultants you’re vetting. Finally, here’s my list of the top 10 Infusionsoft experts to follow. Many of these experts are consultants themselves and have businesses that will help you get more from Infusionsoft. I hope this article was useful in your decision. Let me know in the comments below whom you’ve worked with and give the a shoutout!